Jools Holland announced today that he will play two very special charity concerts at Wells Cathedral on 6 March and Rochester Cathedral on 20 March to raise funds for the necessary upkeep of Cathedrals throughout the British Isles and highlight the beauty of these historic buildings and the music within them. Tickets for Wells Cathedral will go on sale on 2 February and Rochester Cathedral on 12 February 2007. The beautiful surroundings of these Cathedrals will form the backdrop for two intimate concerts with an audience of 700 people. Each will witness Jools Holland perform at either the historic Wells Cathedral in the heart of Somerset, whose construction began 1180 or Rochester Cathedral in Kent, the second oldest Cathedral in England which dates back to 1080. Monies raised at these two concerts will go to a central fund that is not only dedicated to the continued maintenance and essential repairs to these incredible buildings, but also to create an endowment for Rochester Cathedral preserving Cathedral music which Jools feels is as important as the stonework itself. At the heart of these charity concerts is a new setting of the Mass composed by Jools Holland and commissioned by the Bishop of Bath & Wells. The new Mass will be performed exclusively in the two Cathedrals. Jools Holland explains, “I am extremely honoured to be performing this new composition in Cathedrals that I feel are part of the aesthetics and appeal of cities in the UK. The plight of these stunning buildings is something that is close to my heart, and to me, Cathedrals are the greatest buildings in Christendom. Reflecting the versatility of Jools Holland’s performances, the concerts will be a mainly acoustic affair backed by his touring rhythm section. Using elements of the Cathedral’s choirs, as well as compositions by Thomas Dorsey, the godfather of gospel, the venues and songs provide a stunning auditorium for the vocal talents of regular Jools Holland collaborators Sam Brown, Ruby Turner and Louise Marshall. In keeping with the nature of Cathedrals and the surroundings that they provide, the shows will be different than any other Jools Holland performance leaning toward an eclectic mix of gospel and choral flavours as well as Jools’ own inimitable style. These charity performances follow Jools Holland’s sold-out two-month UK tour at the end of last year in support of his new album ‘Moving Out To The Country’. 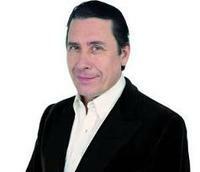 For all the latest Jools Holland information, visit Joolsholland.com.